The old address “buckethydroponics.com” will be removed later this year. Please update your bookmarks if you wish to continue accessing the contents of this website. Thank you! Would you like to grow food at home, but you don’t have the time or space for an in-ground garden? 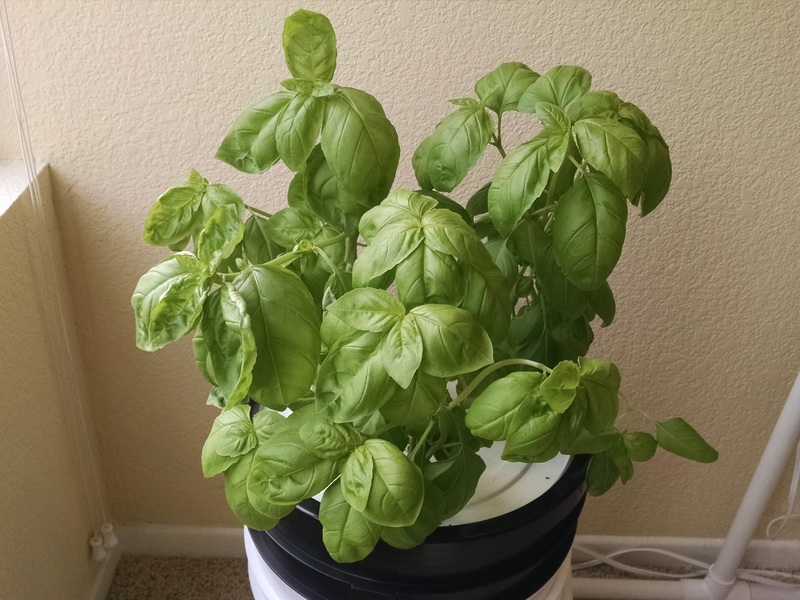 There is an easier way to grow, using Bucket Hydroponics. With just a simple bucket, you can grow lettuce, cucumbers, herbs, kale, almost anything! You don’t need fancy equipment, and very little water is used compared to conventional growing in the ground. Plus you can grow inside when the season is cold and dark, and move outside when the weather warms up. 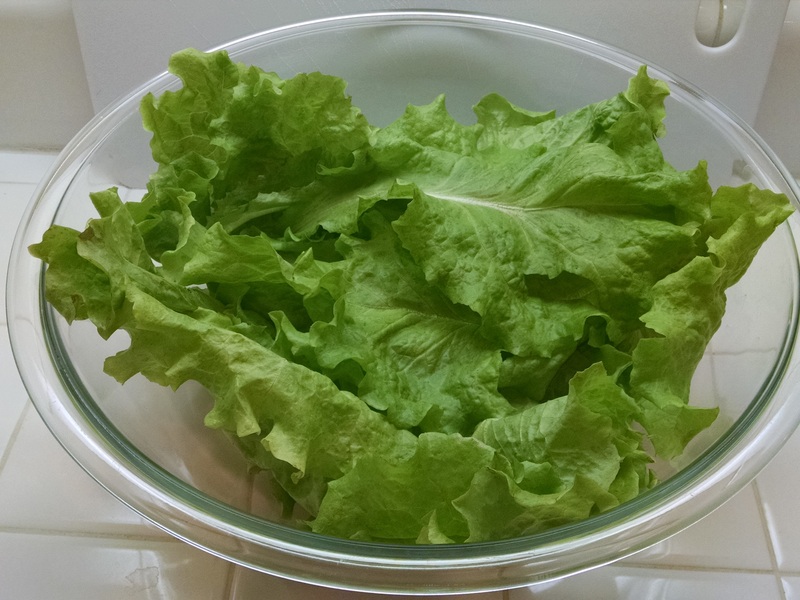 Hydroponic lettuce grown indoors. So clean, there’s no need to wash it. There are several ways to use a bucket to grow hydroponically, but this website is primarily focused on a simple, non-circulating method which does not involve any air pumps or water pumps. In this method, the plants are suspended above a solution of water and fertilizer, with their roots dangling into the solution. As the plants grow in size, the roots grow deeper into the bucket and the level of hydroponic fluid decreases over time. The system is self-contained, so there is no need for daily watering or monitoring, which is perfect for busy individuals and families on the go. 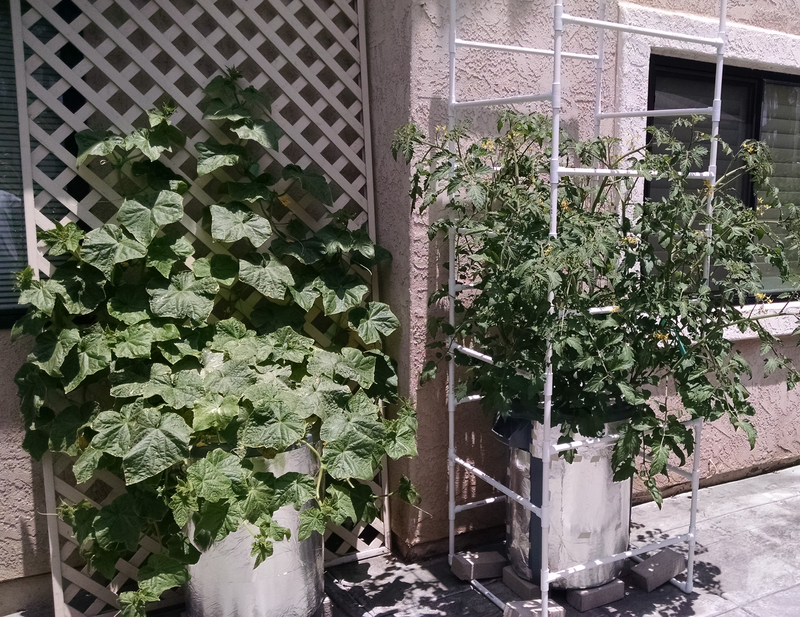 For information on the Bucket Hydroponics growing process, visit the Instructions page. There you will find a Brief Overview of the process, a Step-By-Step Guide, as well as in-depth information on a number of topics, including Fertilizers, Lighting, Air Flow, Water Quality, Inside vs Outside, Support Structures, and Seed Storage. If you are interested in growing a particular kind of plant, use the Plant Index, where you will find examples of each plant grown using the Bucket Hydroponics system. Or just visit the Grow Log, where you can find examples of my most recent growing experiences. This simple method of growing was developed by Dr. Bernard Kratky at the University of Hawaii. Visit the Additional Resources page for links to some of Dr. Kratky’s original research papers, as well as many other useful papers, videos, and websites about the Kratky Method. Growing food at home has been a fun and rewarding experience for me, and I hope it will be for you as well. Get yourself a bucket, and get growing!